Butler Wobble: Spirit of Christmas Parade- Light Up Night! Spirit of Christmas Parade- Light Up Night! Yesterday was the 48th Annual Spirit of Christmas Parade here in Butler. It was the first one that was moved to Saturday to coincide with Light Up Night. It was also the first night parade in Butler with unicycles! Thanks to Jeff Rapp of Rapp's Bicycle Center for providing us with extra lights (as well as supporting us from the start). Jeff also rides a uni with us! A HUGE thanks to the Butler Media Group for organizing the parade and welcoming us. Also, a massive thanks to the Butler Y! Without their support we wouldn't be trying to ride unicycles on Main Street during a parade in the dark. They have supported us from day 1. Their community support is amazing to say the least. Please stop by and check out unicycling at the Y and also look at all the other programs they provide. The Y is an essential organization to a healthy community. Next Saturday is December 1st. 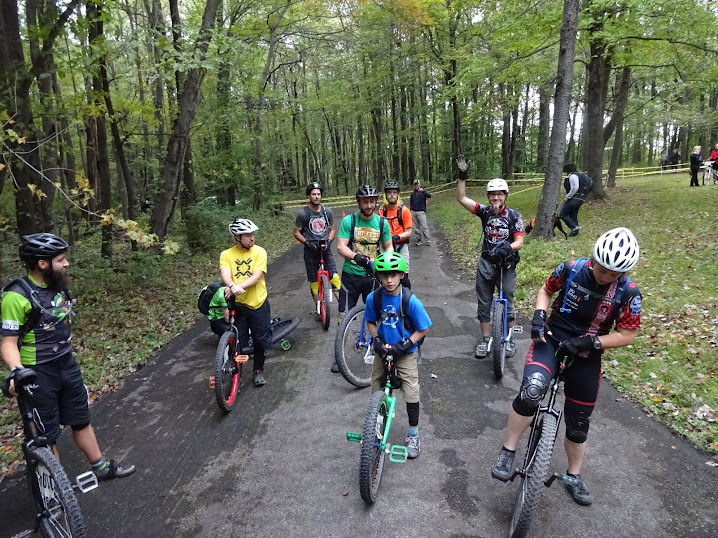 Join us for unicycling 4:30-6:30 and after we're heading out to someplace nearby to eat. And- with the Holiday Season approaching, consider the gift of unicycling. We'll teach people to ride for free, but at some point you'll want to have one of your own. While different bars spoil you with extravagant seating and remarkable feasting, the Coyote Ugly is unquestionably less complex. November 24th- Light Up Night Parade!